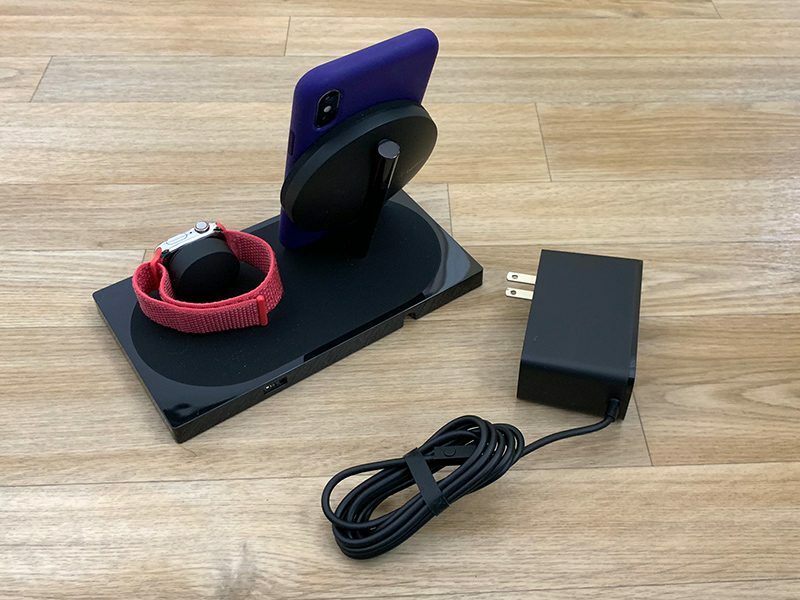 Design wise, the Boost Up Wireless Charging Dock has an upright Qi wireless charger similar in design to Belkin's other Boost Up charging options, with a round charging surface that houses the wireless charging coil. The iPhone is designed to sit upright against the back of the charger, with the base serving as a stand. Belkin has slightly angled the base, which makes it easier to see the iPhone's display while positioned on the dock. The base is covered in a grippy material that prevents the iPhone from shifting or moving while it charges. 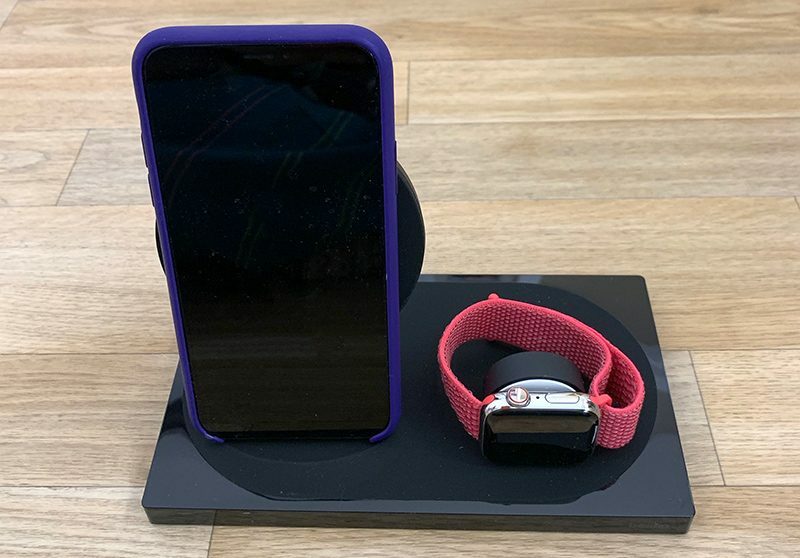 You can't put your iPhone on the dock horizontally because of the Apple Watch charger, so it's limited to vertical charging. 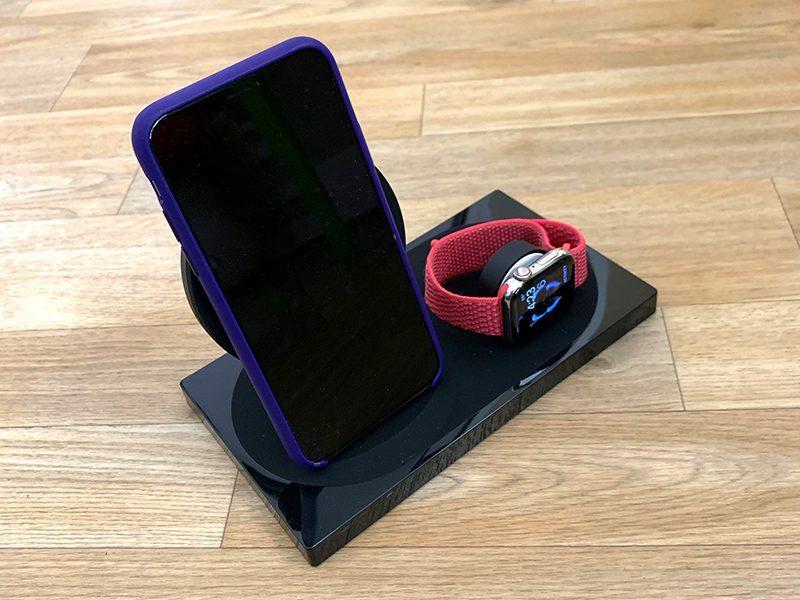 The Apple Watch charges on the dock in landscape orientation so it works with Nightstand mode as a clock replacement. 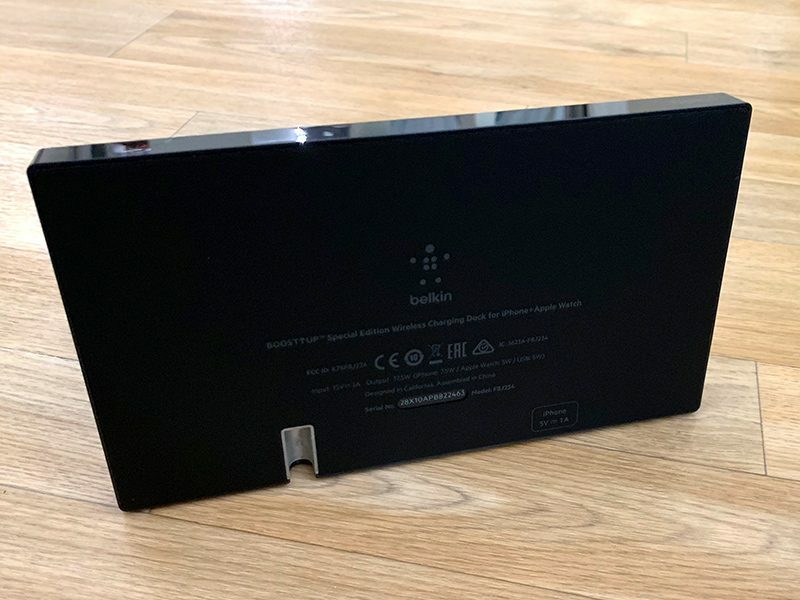 I read some reviews that suggested the Belkin charger was not compatible with the iPhone XS Max in certain cases that make the iPhone a bit taller, but I didn't have that experience. Both my iPhone X and my iPhone XS Max charged without issue in Apple cases, and Belkin says that it supports cases up to 3mm thick. The base of the dock measures in at 7.4 inches wide, 4.1 inches long, and 4.8 inches tall, so it does take up a decent amount of space on a desk. Since it's combining two charging options, though, it could be a space saver depending on what charging device you currently use. There's an LED at the side of the dock, which does glow noticeably in a dark room, but it's not so bright that it's distracting or keeps me from sleeping at night. 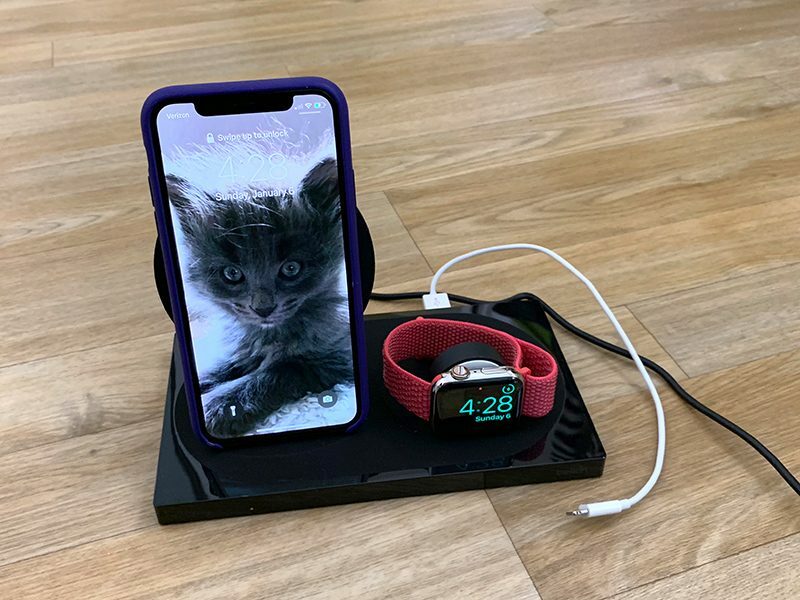 I do wish it wasn't there, but Belkin says it provides foreign object detection to let you know if something's touching the Qi wireless charger that shouldn't be. 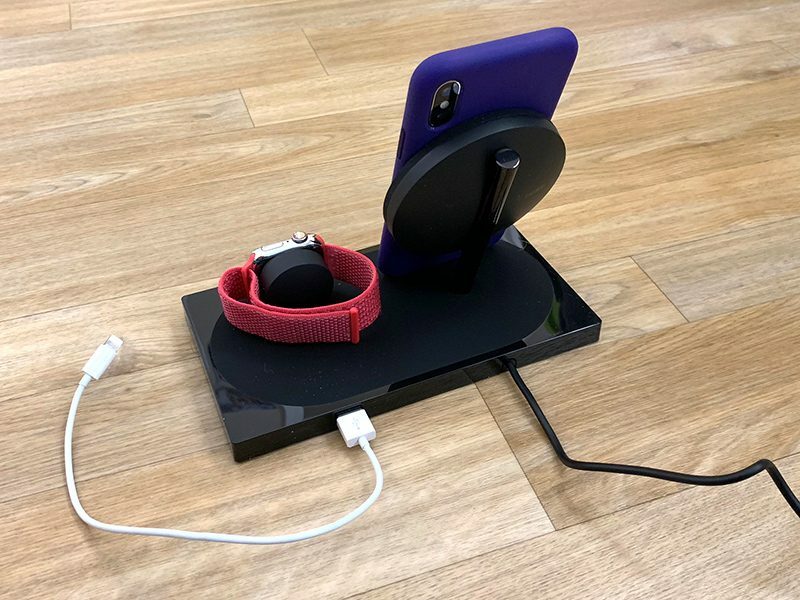 Belkin's Wireless Charging Dock supports 7.5W charging, so it can charge the iPhone 8 and later at 7.5W instead of 5W. 7.5W is fairly standard on Qi-based charging devices intended for Apple devices these days, so this comes as no surprise. 7.5W is the maximum wireless charging speed that iPhones support. You can charge your AirPods or another lower-powered device, but if you're trying to charge an iPad or iPad Pro, the charging is going to go slowly. I tested the charging dock on my nightstand, where I keep an iPad mini for reading. I charged my iPad mini with the dock, and it was fine for that purpose. That's not enough power to sufficiently charge one of Apple's larger iPads, which limits the functionality of the additional port. The Charging Dock works well overall, but the downside is the price tag. It sells for $160, which is expensive and much pricier than purchasing separate iPhone and Apple Watch chargers. It's nice to have these features combined into one device with a single cable to plug in, but the price is just too high for many people. Who is buying this bulky, over-designed and over-priced tripe? this is ugly... and expensive. Again... I’m just fine with my $40 charger from Amazon. I got this for Christmas and I think it is awesome. It doesn't take up hardly any room on my nightstand, the light is not a distraction in a dark room by any means, and it only requires a single plug which is great. I can charge my phone, watch and my AirPods via the usb cable. What else do you want? These wireless chargers are way overpriced. I can’t wait to see what Apple thinks theirs is worth. I’m not paying more to charge slower. I don’t mind paying a little extra for a charger from a known brand, but not $100+ extra compared to the cheap ones available. This Belkin unit looks nice and is solidly built. The imitation crap on Amazon is just that: crap. Pieces of junk. Imitation metal is real classy. I ordered this last week and it came today. I got the white one and it works very well. I'll provide a more comprehensive review later this week. I paid $134 for the white. Why is Apple charging more for this? There are two different Boost Up combo stands. 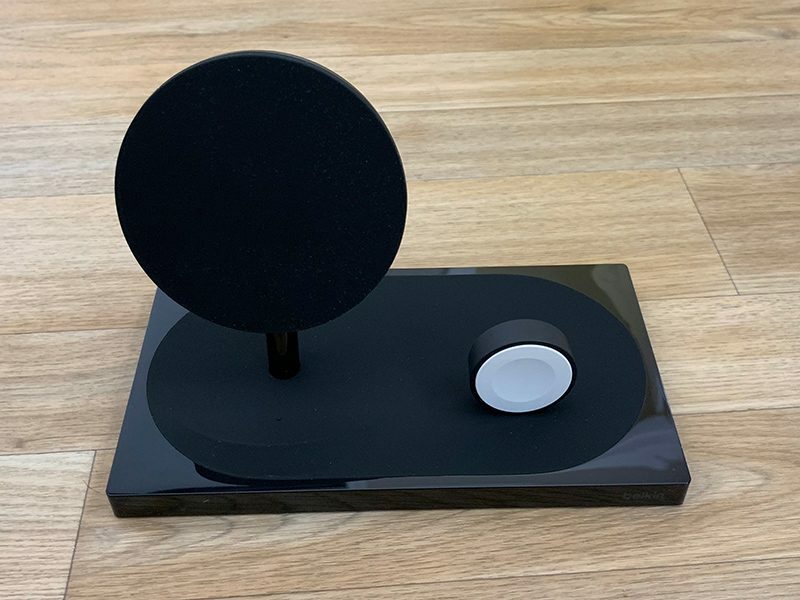 The referenced in this story, the F8J234, has a rectangular metal base, with a round phone charging disc suspended by a metal rod. It's only sold at Apple stores and from Belkin for $160. 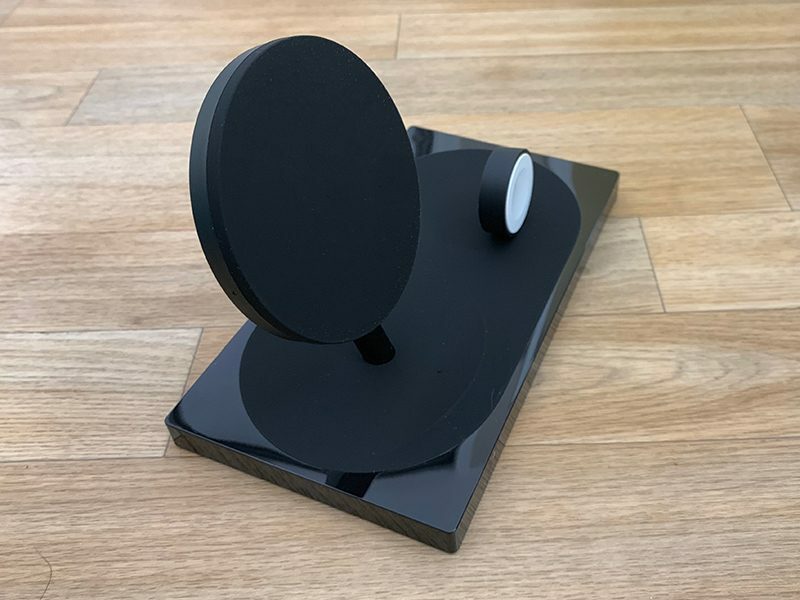 The cheaper one on Amazon that you bought is the F8J235, which has a rounded oblong base and an oblong phone charging pad mounted directly to the base. While they're functionally identical, if you compare the two, the latter may have more plastic in its construction and less metal. I would pay $60, at the most. I don’t think it’s worth more to me than that.